Lt. Gov. Dan Patrick, pictured during a debate at the KERA studios last year. Lt. 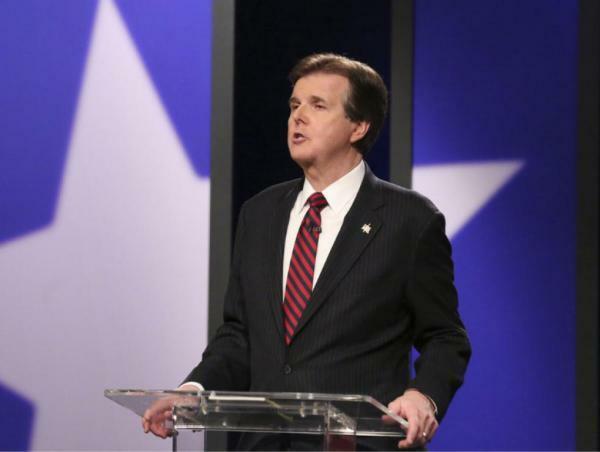 Governor Dan Patrick tells Texas Standard why there’s a need to improve positive relations between police officers and the public. There was an execution-style murder of a Houston deputy last week. Two days later: an off duty officer in Abilene was found dead at his home. It was ruled a homicide. The next day, a Chicago officer was killed responding to a distress call. On walls in Houston there is graffiti of two emoji; on one side, the head of a police officer. On the other, a gun pointed at it. Police and officials from New York to Houston have linked the death of Houston Deputy, Darren Goforth, to the Black Lives Matter protest movement focused on how police use lethal force against African-American citizens. The County Sheriff of Milwaukee calls these recent events a “war on police.” And the Lieutenant Governor of Texas, Dan Patrick, agrees. Patrick has issued a statement – and a longer Facebook post – calling these events a “morbid reality” for law enforcement officers. Patrick says there needs to be more positive mentions of police officers in the news and blames some media outlets for pitting sides of the story against each other. Editor’s Note: This is an updated version of a story that originally ran in January 2013. The Texas Legislature is just now getting into full swing. We're more than two months into the session, but you might notice that things have been relatively quiet so far when it comes to actual law-making. And while it might seem like a slow start to the every-other-year meeting, actually, it’s all part of the plan. In musical terms, each session has its own rhythm and tempo. Immediately after a session in which rumors of a rift were prevalent, Lt. Gov. 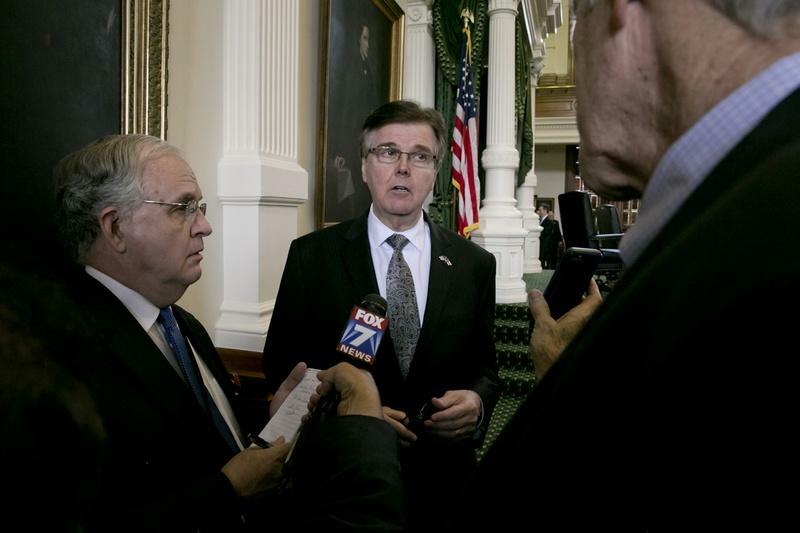 Dan Patrick made a strong proclamation about his relationship with Gov. Greg Abbott on Monday.